Life with disability in the family is about the same things any and every person longs for—a place to belong. It is about the same things any and every family yearns for—sanctuary, unconditional love, and unwavering support. The details may look very different, but the important things are really not as different as you might think. Most often it just takes much more effort for the family living with disability to find or develop. Unfortunately, families living with disabilities do not always have good things to report. Research data of 400 families who have children with disabilities say they often do not attend church, though they would like to, due to negative experiences. 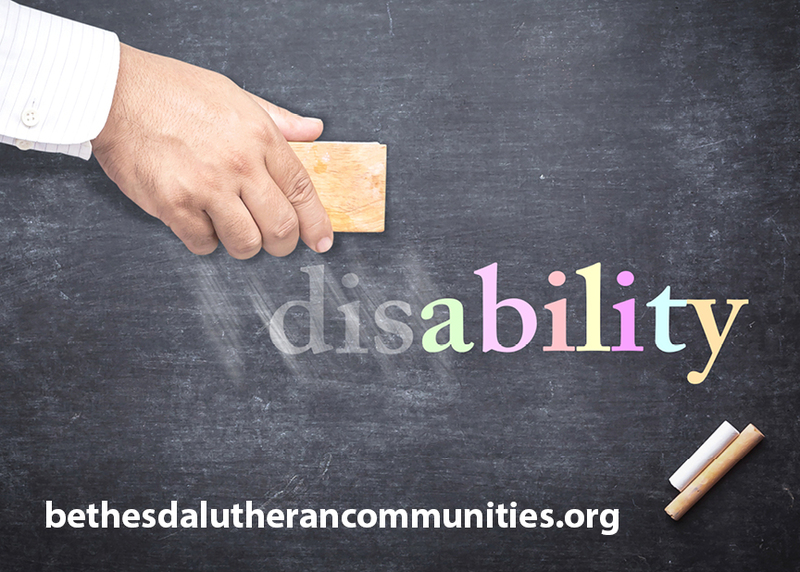 Similar research of 200 teens, both with and without disabilities, indicates that their faith life is important to them, but significantly fewer of those with disabilities actually participate regularly due to negative experiences. Some of this research by Dr. Erik Carter of Vanderbilt has been put into a Practical Guide for Congregations, and a link is included at the end of this article. Friends, we can do better. The Church can do better. God calls us into relationship, valuing each member of the Body of Christ for the role it is designed to play. 1 Corinthians 12:22 says that “the parts of the body that seem to be weaker are indispensable.” Note it says “seem to be” weaker, not “are” weaker. It also says they are needed and necessary. They have a vital role in the Body of Christ. Without them the church is incomplete. So what can be done as a congregation to intentionally support a family living with disability? Be Sanctuary: By definition, a safe space both physically and attitudinally. Be welcoming and ask what you need to know. Ask questions rather than making assumptions. Be Authentic: If you don’t know what to say, be honest and say that. If you don’t know what to do, be honest and say that. If you are worried you might offend, be honest and say that. Be Relational: Get to know each person in the family. They are so much more that “just” a family with a disability. Each person has gifts and talents and interests completely unrelated to disability. They have shared interests with others in the congregation. Fellowship is an important part of congregational life, and it stems from these things. Being known for who we are is a powerful statement of and witness to belonging. Be Purposeful: Meaningful participation and contribution of all members of the family are necessary. People with disabilities and their families have much to offer the Body of Christ, but often the Church sees them as needy—as a mercy ministry—not as valued contributing members. Look for ways for each of them to serve, including the person with disability. For more information and free resources visit our website (www.BethesdaLC.org) or email us ( ). Also see Erik Carter: Practical Guide for Congregations. Mona Fuerstenau is director of ministry partnerships at Bethesda Lutheran Communities.